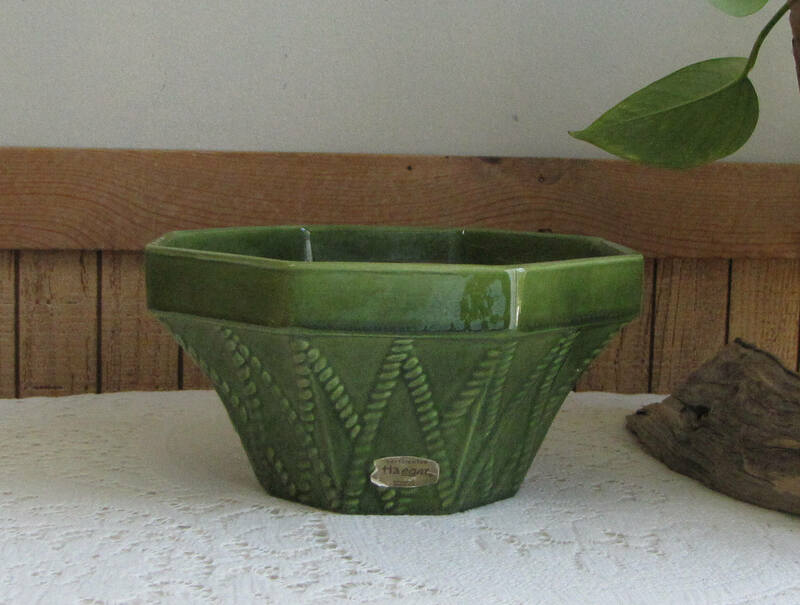 Haeger Green Octagon Planter Vintage Planters and Pots #834 U.S.A.
A lovely greenery octagon indoor planter from Haeger Pottery. 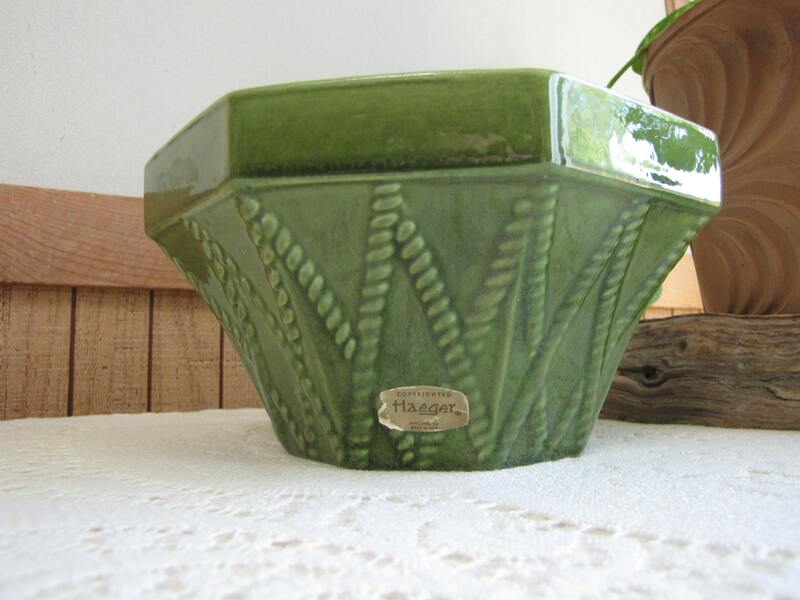 It has the Haeger mark embossed on the bottom as well as its original sticker. 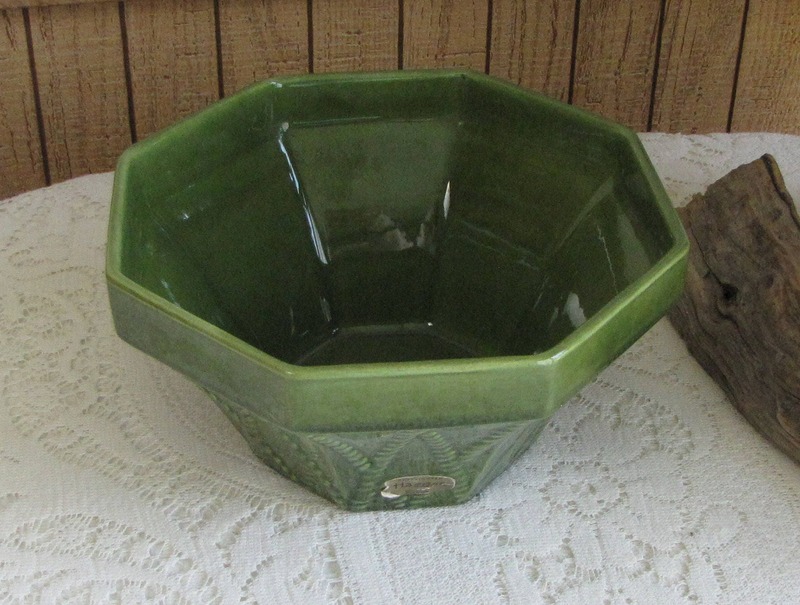 The design has a rope design on the octagon sides and flat trim across the top. 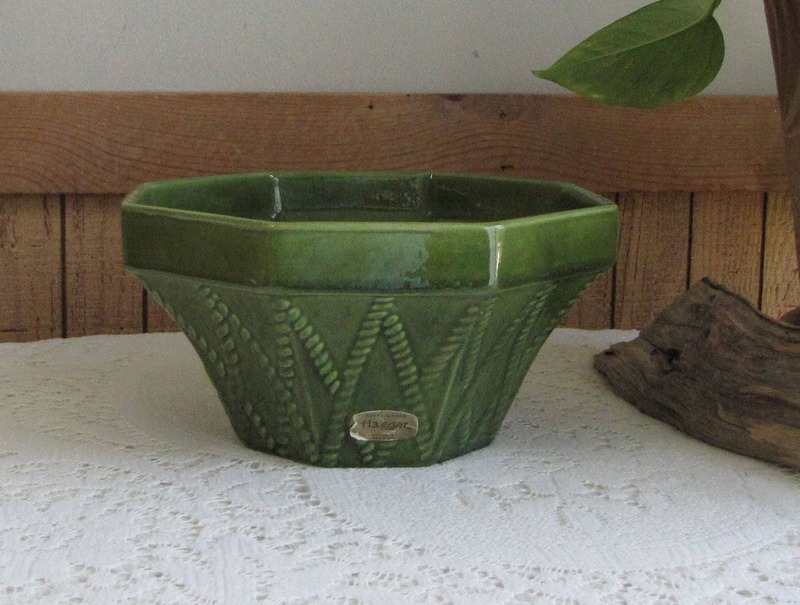 The planter is in very good vintage condition with no chips, cracks, or crazing. One top panel has some of the price tag sticker glue on it still that I can’t seem to rub off. 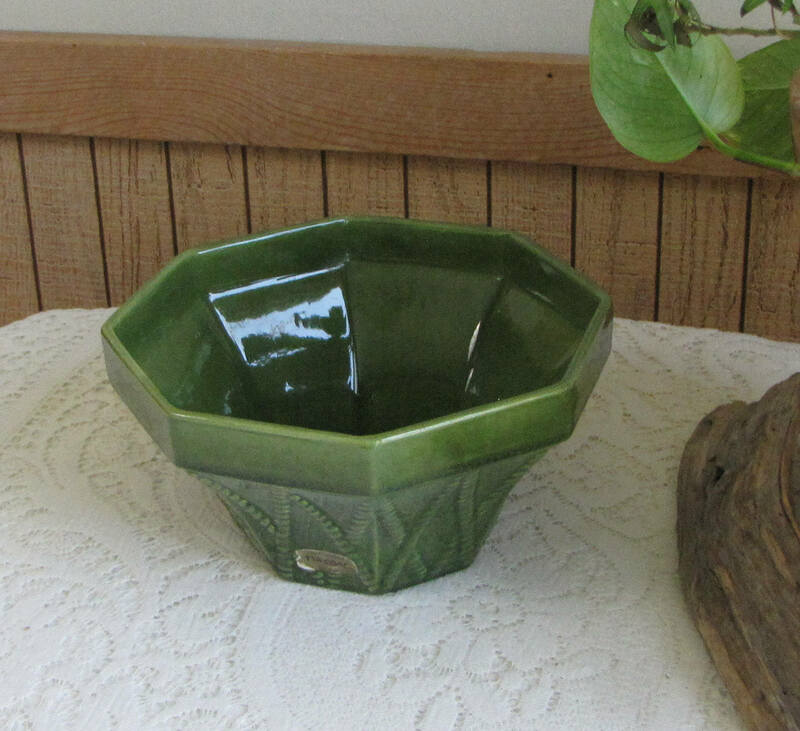 The planter measures 4.5 inches tall and is 8.5 inches in diameter at the top edges. In 1871, a young German immigrant named David H. Haeger founded Haeger Bricks in what was originally known as the Dundee Brickyard. This was the same year as the great Chicago fire that destroyed more than 17,500 buildings and made tens of thousands suddenly homeless. Haeger Bricks fired the first of millions of bricks needed to help rebuild Chicago. 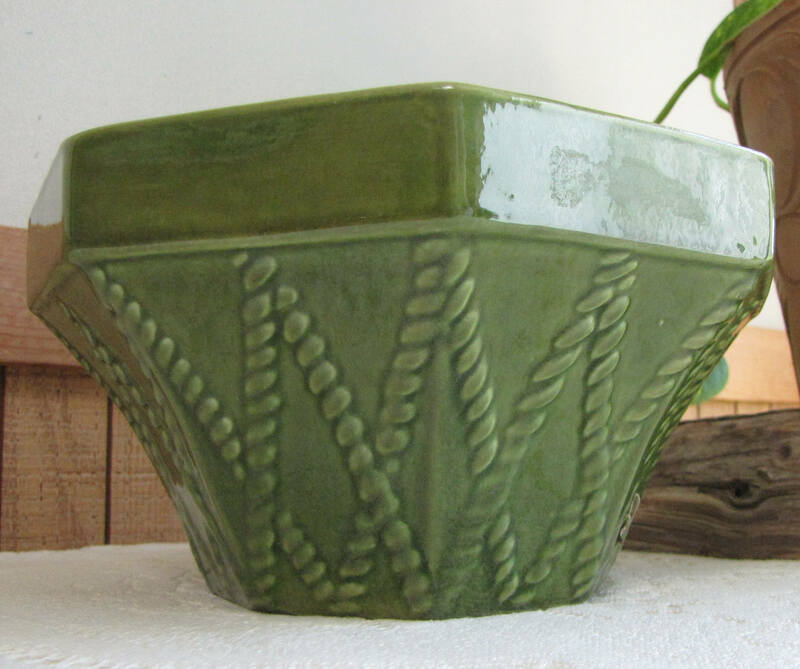 Over the next 130 years under four generations of family leadership, this small-town brick maker became America’s oldest and largest maker of production pottery. Royal Hickman joined the company in 1938. 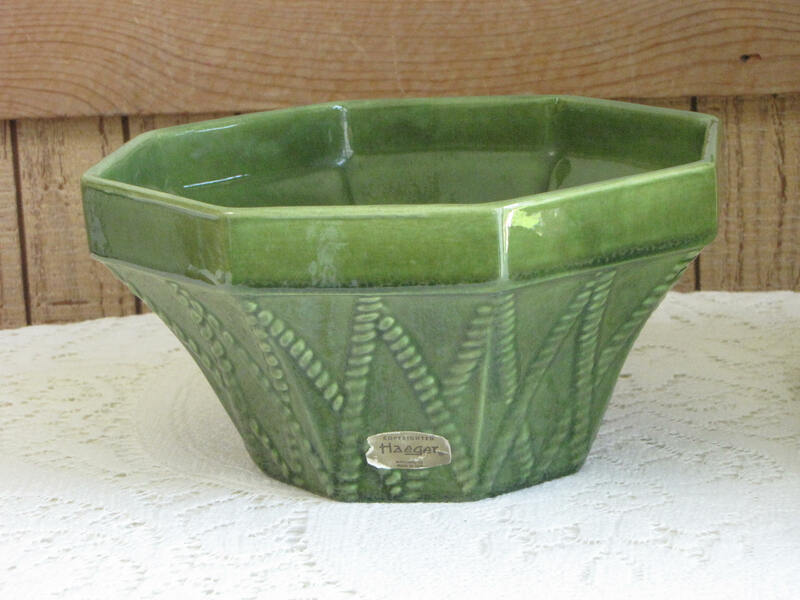 Hickman is considered a design genius and introduce the Royal Haeger line. 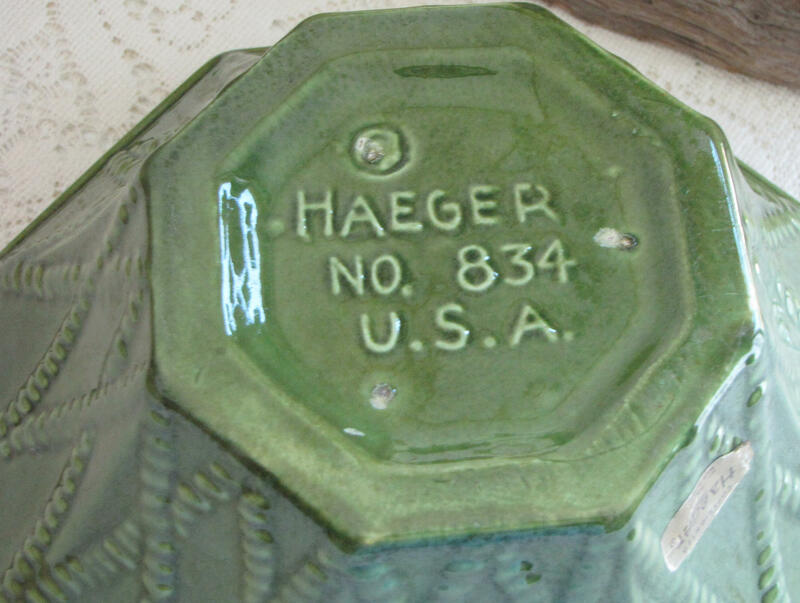 Haeger Pottery closed its doors in July of 2016 after 146 years of family ownership. Arrived safely in extremely well wrapped packaging. Exactly as depicted.